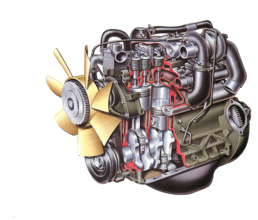 Many car diesels are based on existing petrol engine designs, but with the major components strengthened to cope with the higher pressures involved. 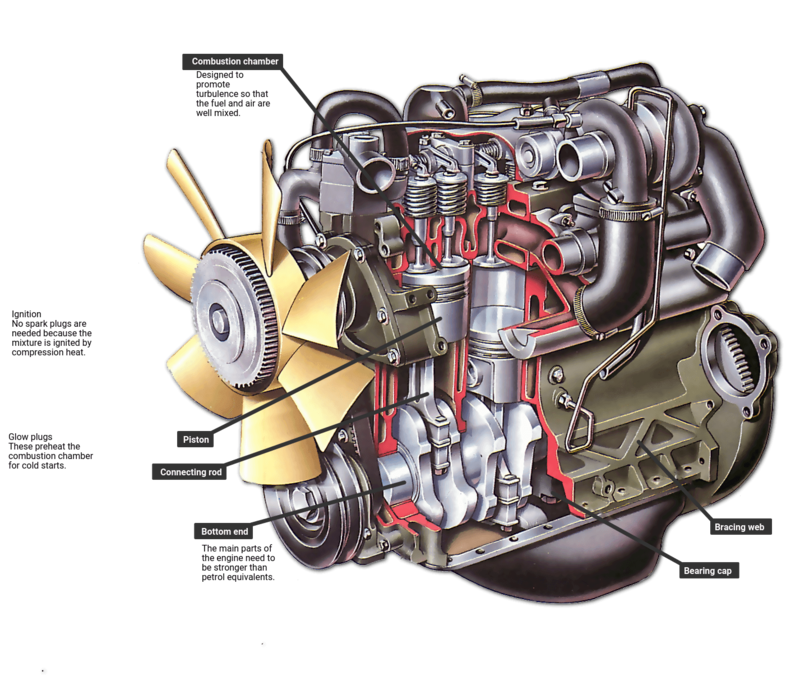 Fuel is supplied by an injection pump and metering unit, which are usually mounted on the side of the engine block. No electric ignition system is needed.